Bumthang is located 277 km east of Paro International airport. 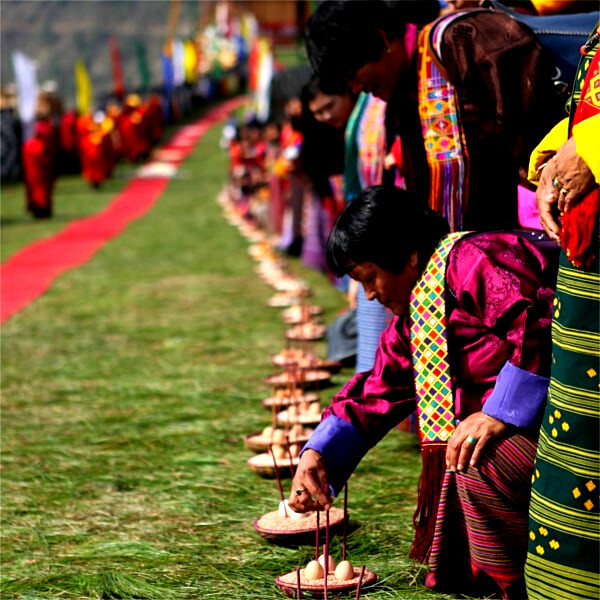 Known as cultural heartland of Bhutan, Bumthang has multitudes of ancient trekking routes, which will offer you an experience of lifetime. Routes along these trekking trials are in rich of vegetation consisting of blue pine, maple, juniper, bamboos and varieties of rhododendrons. During the months of April to mid June, these trails will be in full blossomed with varieties of rhododendrons. During calm nights, while trekking along these trails, one can hear owls hooting breaking the silence of night; hence the name Bumthang Owl trek derived. Places covered: Paro, Thimphu, Punakha, Wangduephodrang, Trongsa and Bumthang. Best Season: March, April, May, September, October, November and December. Welcome to Bhutan. Your guide and driver will be waiting for you at Paro International airport. The drive from Paro to Thimphu will take around one hour. 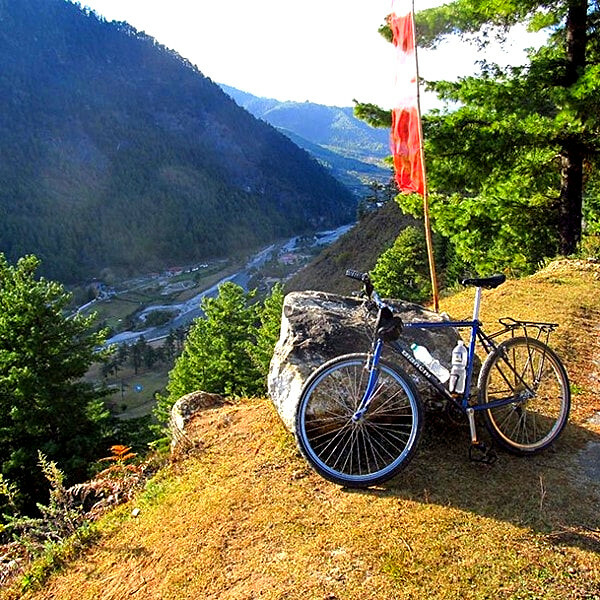 After reaching Thimphu, check into your hotel, enjoy your lunch and set out for exploring Thimphu city and places around it. Towards evening visit to National Memorial Chorten, mingle with elderly people, circumambulate the stupa and get blessed. Trongsa is located 142 km east of Punakha. It will take approximately 6 hours to reach Trongsa from Punakha. At Trongsa, we will pay visit to the historical Trongsa Dzong. Trongsa Dzong: Located spectacularly on a ridge overlooking the Mangdechu River Trongsa Dzong is the most spectacular Dzong in Bhutan. It was built by Chogyal Migyur Tenpa, the then Trongsa penlop in 1647 at the site where a small temple was built by Yongzin Ngagi Wangchuk and named it Druk Migyur Chokor Rabten Tse. The Dzong was once a seat of the highest ranking regional ruler in Bhutan, Trongsa Penlop (ruler of Trongsa). The Dzong consists of many different temples built by many different rulers and saints of Bhutan. Kurje Lhakhang: Located in Kurje in the Chokhor valley, around 15 minutes’ drive from Chamkhar town (Bumthang), the site of the three temples has a body impression of Guru Rinpoche left behind after he meditated there and subdued evil spirits the chief of which was Shelging Karpo. Kurje means body impression. Guru Rinpoche visit Bumthang in 746 AD at the invitation of the local king, Chakhar Gyalpo. The oldest temple was built in 1652 by Chogyal Migyur Tenpa, the first Choetse Chila. The second temple was built in 1900 by the first King Gongsa Ugyen Wangchuck on the spot where Guru left his body imprint, and the third temple was built in the 1990s under the commanded of Queen Mother Ashi Kesang Choeden Wangchuck. The first, second, and the third temple contains respectively the three Buddhas (the past, present, future), a 12-metre tall statue of Guru Rinpoche, and Khenlop Chosum (Guru Rinpoche, King Thrisong Duetsen, and Pandit Santarakshita). Jampay Lhakhang: Located in Chokhor Gewog in Bumthang, 10 minutes’ drive from Chamkhar town; Jampay Lhakhang is believed to be one of the two temples (the other is Kyichu Lhakhang in Paro) built by Tibetan King Songtsen Gampo in the 7th century AD in Bhutan among 108 temples that he built in one day to subdue a demoness that lay supine across the Himalayas. It’s believed to have been built on the left knee of the demon. Besides the future Buddha, Jowo Jampa (Maitreya) from which the temple derives its name, the temple contains more than 100 statues of the gods of Kalachakra built by the first King of Bhutan in 1887. 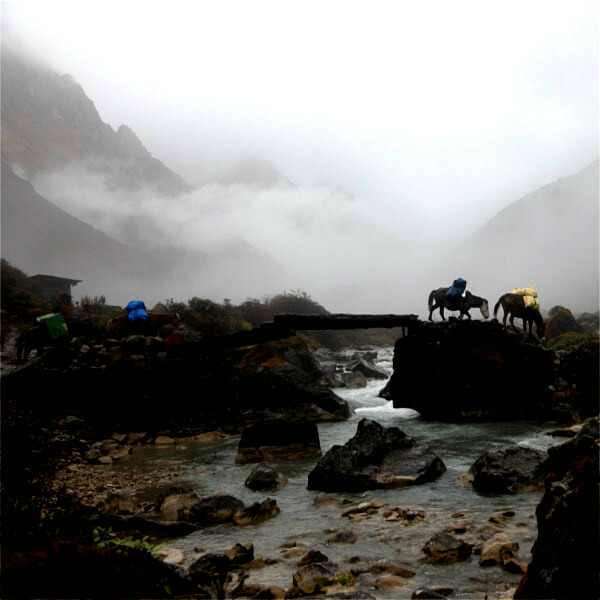 Trek starts from Menchugang village, traversing through Dur village and then to our campsite at Schonath located at an elevation of 3450 m above sea level. During the night, enjoy the hooting sound of owls. Today the trail will lead us through Drangela pass (3600m) and Kitiphu peak (4000m) from where you will have a spectacular view of Eastern Himalayan ranges. Our campsite tonight is located just below Kitiphu peak at an altitude of 3870m. Today from Kitiphu camp site we will descend down to Tharpaling monastery and then to our extraction point. From here we will drive to Bumthang and in the evening we will visit to Tamzhing Lhakhang. Tamzhing Lhakhang: Located in Tamzhing, some 20 minutes’ drive from Chamkhar town. It was built in 1505 by Terton Pema Lingpa, the temple served as his main seat. The relics contained in the statues in the temple are treasures discovered by the terton himself. The two-storey temple houses the images of Peling Tsokhor Sum (three principal deities of Peling tradition), the three Buddhas (Duesum Sangay), Guru Tshengyed (eight manifestations of Guru Rinpoche), a life-size statue of Terton Pema Lingpa. Among many relics crafted by the founder himself are the hat of Guru Statue and metal chain armour. At an altitude of 3000 m above sea level, under Wangdue Phodrang district of western Bhutan, Gangtey is a beautiful glacial valley, located at 200 km east of Paro International Airport.